December 6, 2013 – The City of Thunder Bay is proud to announce the 100th anniversary of the historic James Whalen Building. 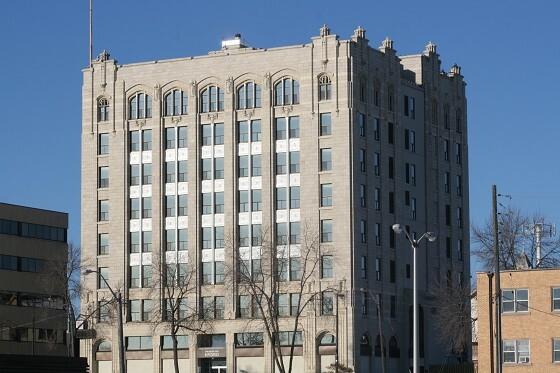 Built in a Chicago skyscraper style, construction of the Whalen Building cost $555,000. It was the tallest building in the area at the time, and its design – by Montreal architectural firm Brown and Valence – includes reinforced concrete, terracotta paneling, gothic elements, marble floors and roof turrets. Whalen intended the building to be used for commercial and office purposes, as well as house a bank. His own Great Lakes Dredging Company occupied the seventh floor. Shortly after the building’s completion, Port Arthur moved its municipal offices to the second and third floors, where they remained until amalgamation in 1970. The building came under City ownership after Whalen ran into financial trouble in the mid-1920s, and the building fell into tax arrears. The City purchased the Whalen Building from a bank in 1931 for just $175,000. Today, it houses several offices, including those of Thunder Bay Hydro, the Thunder Bay Community Economic Development Commission, and Cancer Care Ontario.